Senior BJP leader Ram Nath Kovind appointed Governor of Bihar along with Acharya Dev Vrat as Governors of Himachal Pradesh. 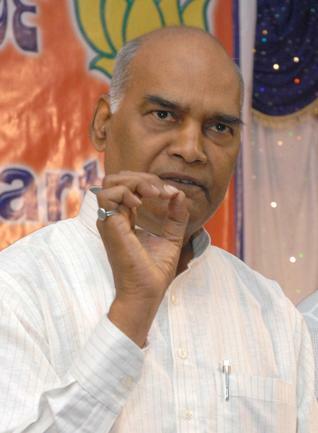 The 69-year-old Mr. Kovind, who had been a two-time Rajya Sabha member between 1994 and 2006, hails from Kanpur in Uttar Pradesh. His appointment comes barely few months ahead of the Assembly elections due in Bihar. West Bengal Governor Keshri Nath Tripathi was holding additional charge of Bihar. A lawyer by profession, Mr. Kovind had also been BJP Scheduled Caste Morcha chief. “The President has been pleased to appoint Ram Nath Kovind as the Governor of Bihar and Acharya Dev Vrat as the Governor of Himachal Pradesh,” a press release issued by Rashtrapati Bhavan said. The appointments will take effect from the dates the incumbents assume charge of their respective offices, it said.